Had a good WOD today. Short, sweet and tough! We worked on Front Squats and my 1 RM was 115. I was really hoping I could get more but not today. 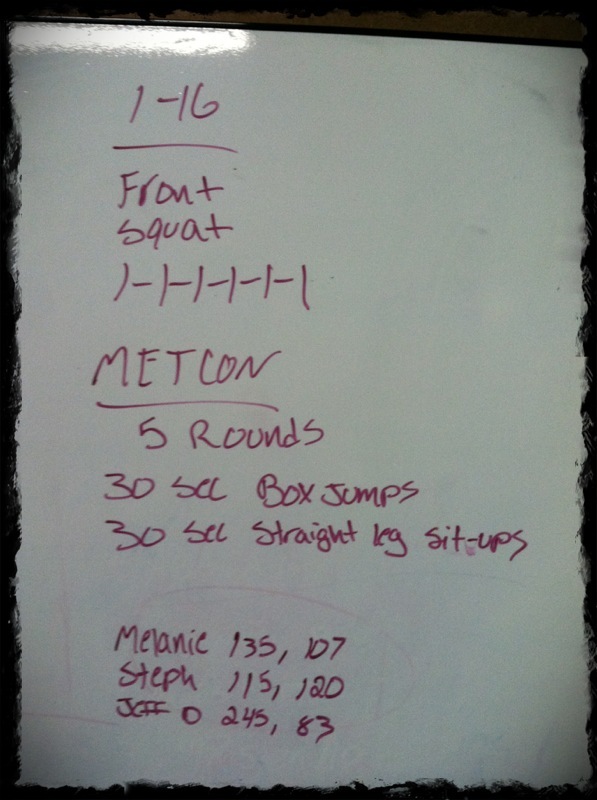 And for the MetCon… box jumps and straight legged sit ups… 30 seconds for each movement for 5 rounds. The first round was good and I slacked on the second round for some reason. Grant reminded us this was a sprint workout so I got on it and started moving… now wishing I didn’t slack on my 2nd round. But I did so I just had to push the rest of the way through. 120 reps total. Not bad but I know I could have had a few more reps.
You all know I strive for Paleo and push to eat as clean as possible and discourage grains. 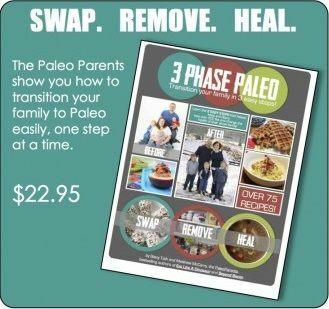 I follow several blogs and what not that are Paleo and advise against grains including the Wheat Belly Blog but I had yet to read the actual book. This weekend we bought it and I tore through it. It’s not a long read so that was nice but there was a lot of information on what Wheat does to us. I feel assured that wheat and gluten are the enemy to everyone not just to those with celiac or other gluten intolerances. I don’t want to give you a book report because I think it’s important for you to read and soak it up for yourself. But if you are wishy washy on the issue or don’t even have a clue, then I highly recommend reading it. 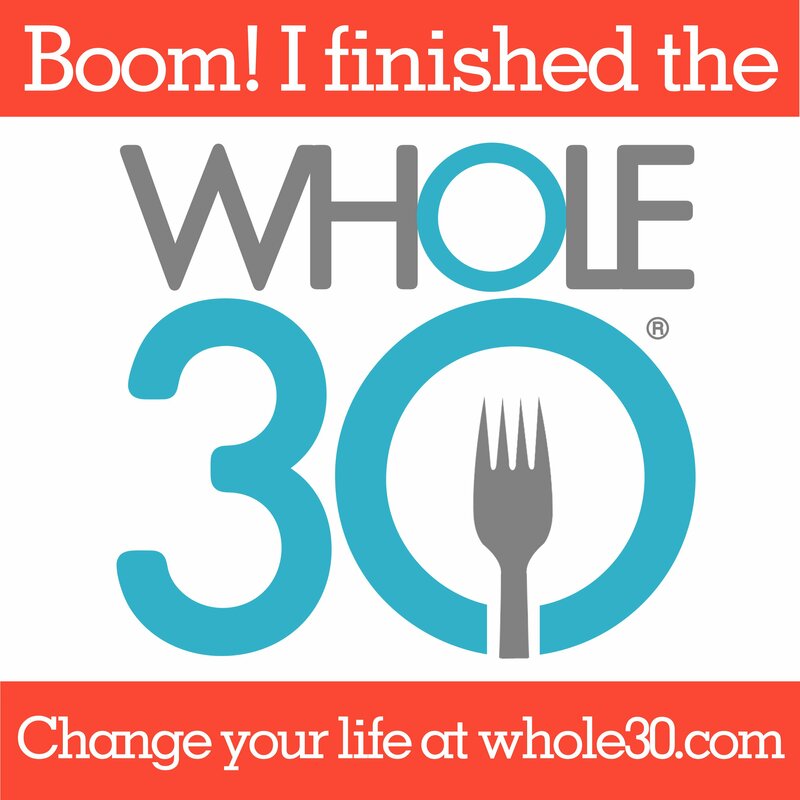 And at least try giving up all GRAINS, not just wheat, for 30 days. See if it changes you. You will go through a withdrawl of sorts, at least you probably will, it may last 2 days and it may last up to a week or 2 but you should just TRY. And don’t replace your GRAINS with junk… just eat more meats, veggies and fruits. If you don’t feel great and more awesome than ever then go back to your gluten filled ways. It won’t bother me one bit 🙂 Let me know if you do it or plan on doing it. Let me know if you need support or have questions. It’s tough mentally to remove the grains but in reality it’s not that hard if you’re willing to make the change. I know that after reading the information in the book I am good without the “yummy” things that are made with wheat. 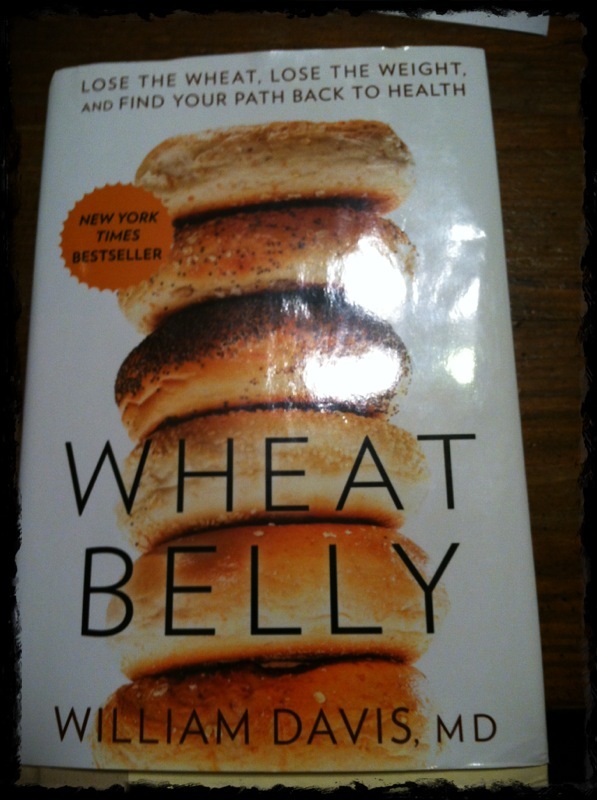 Wheat Belly by William Davis, MD! Buy it! It’s good. I’m smiling as I’m so like you. I look at the stats and analyze and over analyze. I was excited to hit 1000 (I am new too and just hit 2000) but then realized surely half those hits must be me! Keep up the great work!